The No Limits! 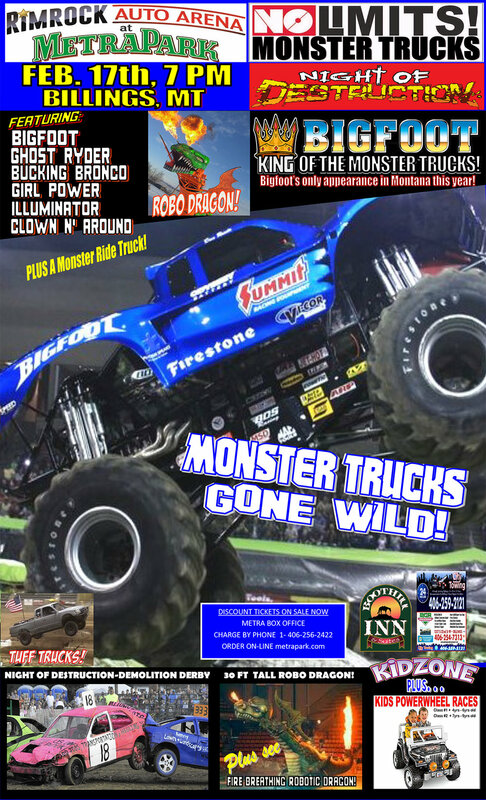 Monster Truck Tour is racing into the Rimrock Auto Arena on Febrary 17, 2018 and is bringing some of the best monster trucks in the nation including; Bigfoot, Bucking Bronco, Ghost Ryder, Illuminator, Girl Power, and Clown N Round! Visit No Limits Monster Trucks for complete event details!